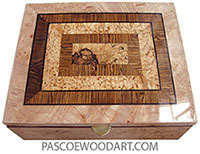 Finish - Machine polished urethane varnish. 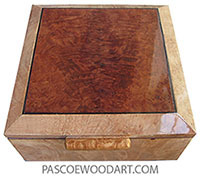 This tall box is made of flame birch with ebony inlay and Honduras rosewood trim and handles. 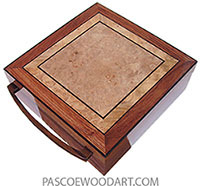 Indivisually handmade wood box, made of flame birch with ebony inlay and Honduras rosewood trim and handles. Last updated March 28, 2017. Posted September 26, 2015.